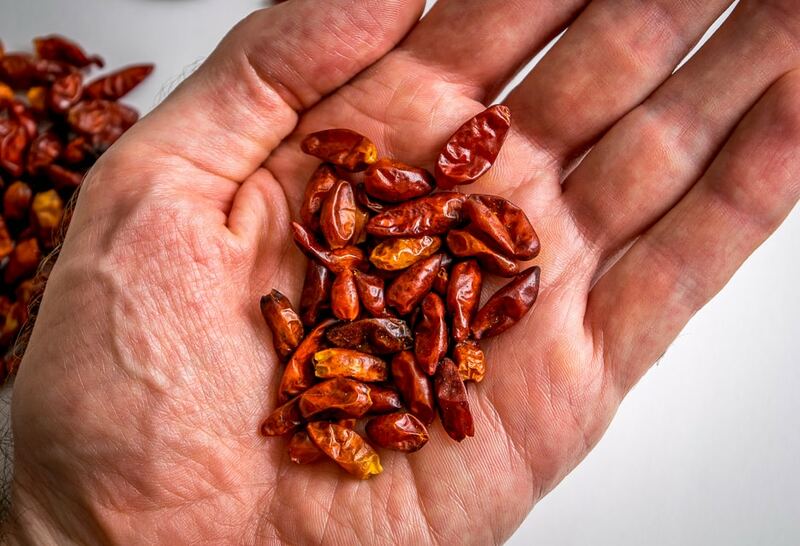 As chili peppers get smaller they tend to get hotter. And Chile Pequins are real small. Their capsaicin level is ten times stronger than a jalapeno so consider yourself warned, they are one of the hottest chilis you’ll come across. 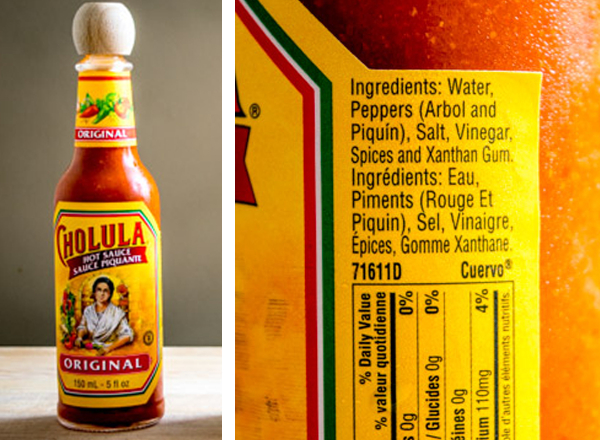 You’ll also frequently see them on the ingredient list of your favorite hot sauces. 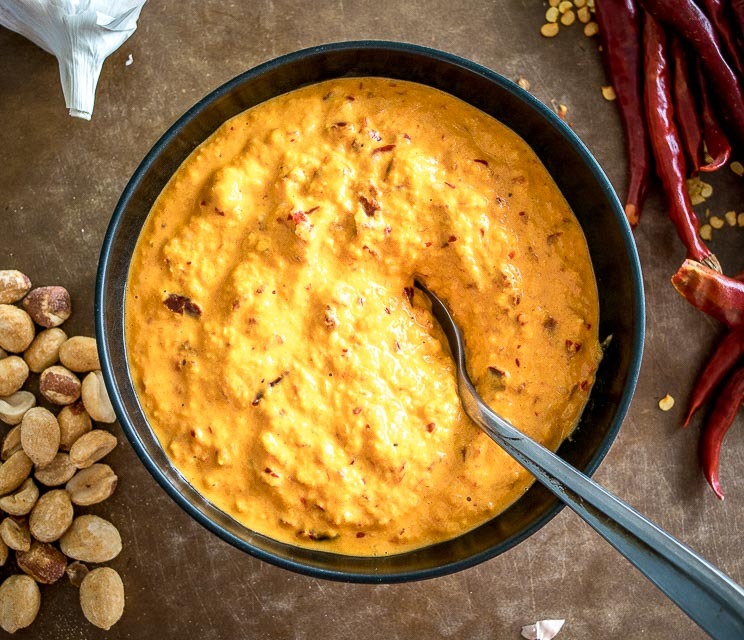 As seen above, they are typically paired with other chilis as their subtle, nutty flavor is less robust than their dominant heat. 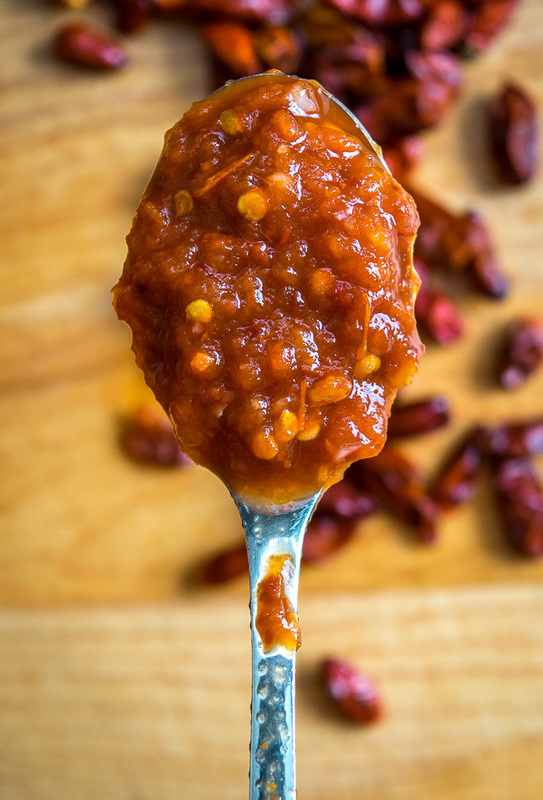 That’s what we’ll be doing here: pairing the Chile Pequin with Chipotles in Adobo to create a wicked salsa that has the best of both worlds. You’ll notice quite a difference if you roast the tomatoes and chilis before blending them together. You can pan roast the tomatoes but lately I just throw them in the oven at 400F. After about 15-20 minutes the tomatoes will be roasted (enough) and you can add the Chili Pequins to the roasting pan. 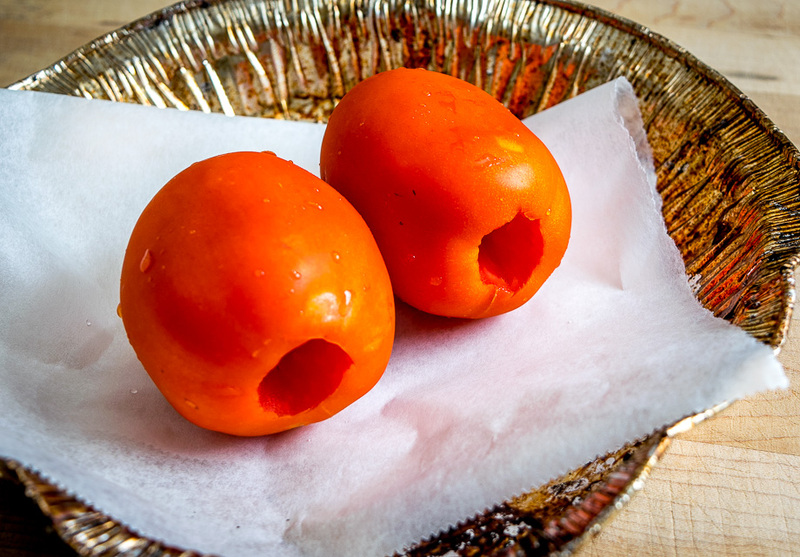 The Pequins are tiny and only need about 1-2 minutes in the oven to roast. Anything longer than that and they’ll burn and turn bitter. Once done, add to a blender along with 2 garlic cloves, 3 chipotles in adobo, a sliver of onion, a couple tablespoons of water, a pinch of salt and a splash of vinegar. We aren’t using much onion at all here, maybe a couple tablespoons worth. 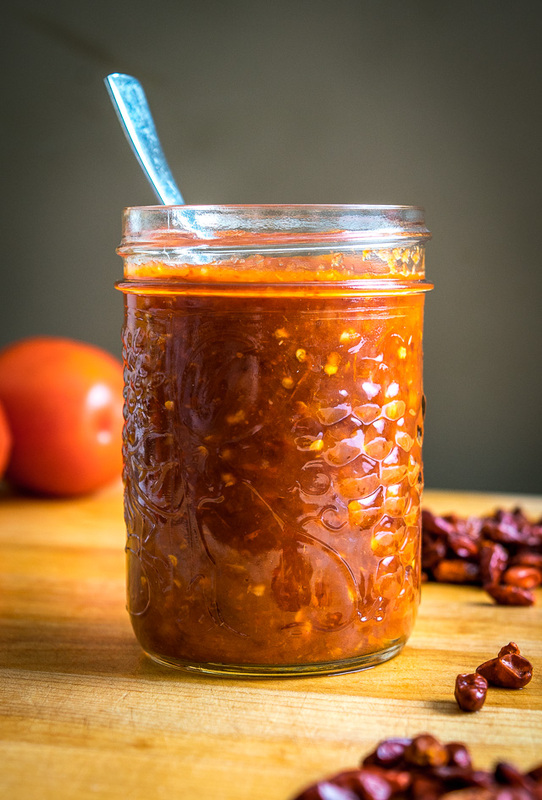 The idea is to create a sharp, concentrated sauce to be used one drop at a time. Adding additional onion would dilute the salsa too much. And if you are new to Chipotles in Adobo you’ll find them in the Latin goods section of most supermarkets or in any Hispanic market. Pulse blend until the ingredients are combined. And a friendly warning: don’t give it a smell after blending as you’ll get a homemade version of pepper spray coming at ya! 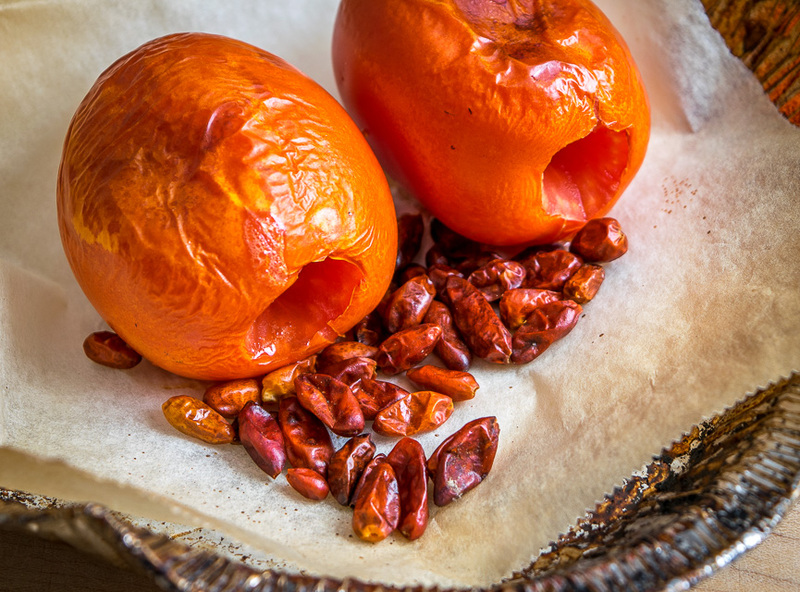 You’ll end up with a wicked hot sauce that packs real heat from the Chile Pequins but also has a rich, complex flavor from the Chipotles. This salsa works best as a topper sauce, i.e. the final touch on a taco or burrito. 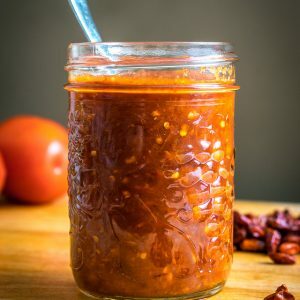 The splash of vinegar will help it keep for weeks at a time in the fridge so you can think of it as your own personal hot sauce that’s always on standby. Use it one drop at a time until you acclimatize to the heat because it’s hot in here. 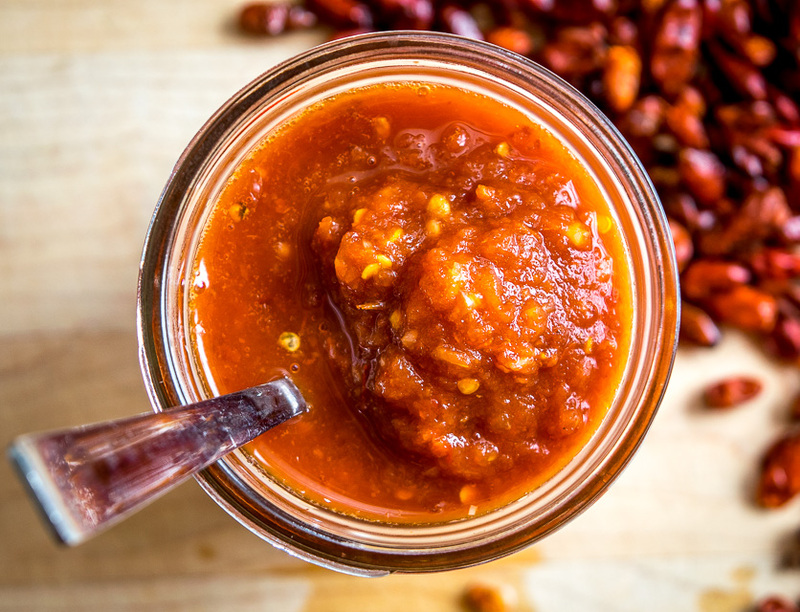 This fiery salsa gets heat from the Chile Pequins and a rich flavor from the Chipotles in Adobo. 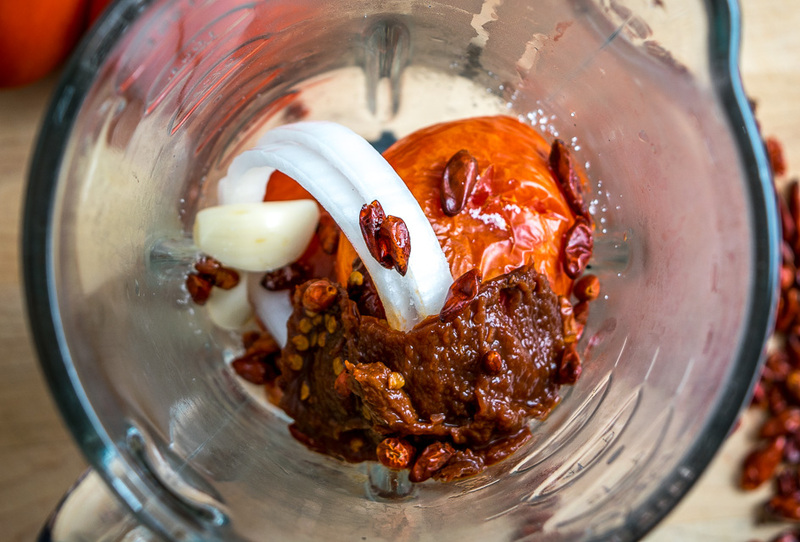 Add the tomatoes and Chile Pequins to a blender along with 3 chipotles in adobo, a sliver of onion, 2 garlic cloves, a pinch of salt, 2-3 tablespoons of water, and a splash of vinegar. I typically cut the stems off the Chipotles in Adobo but this is optional. 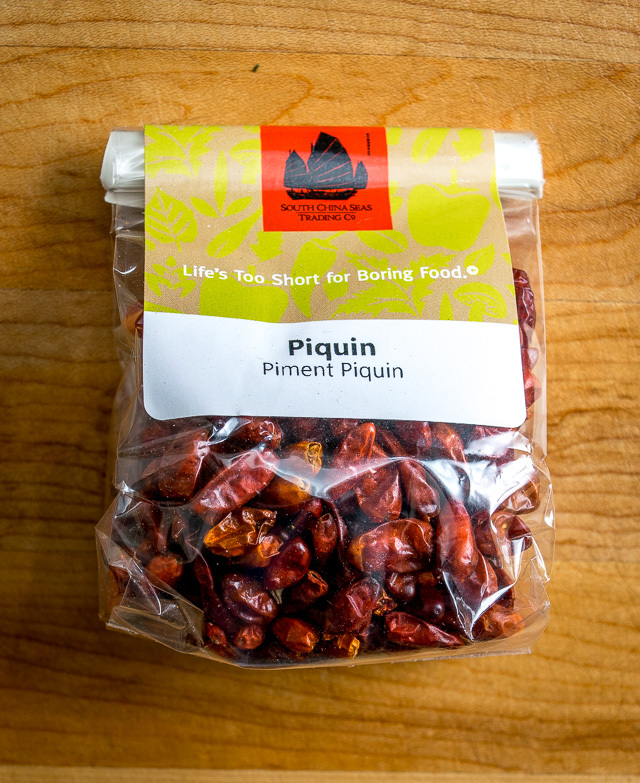 Chile Pequins would also work good in our Peanut Chile Salsa. Still hungry? 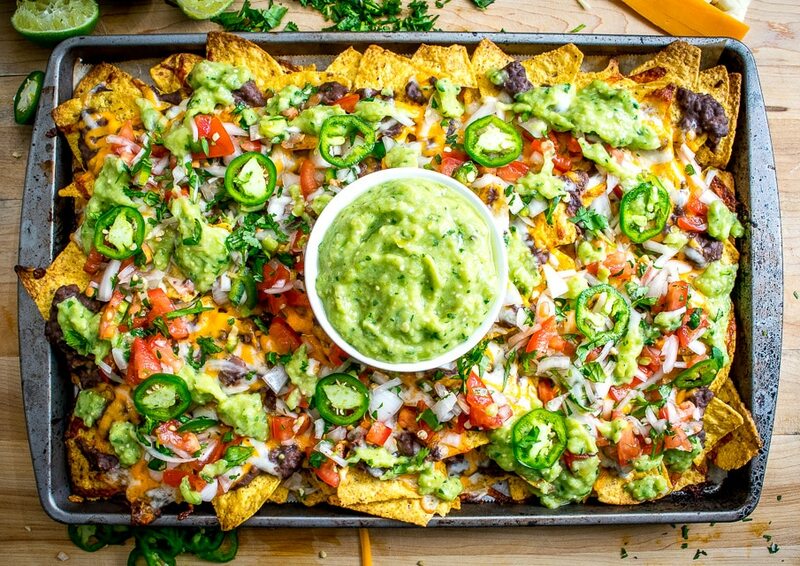 You might also like our spicy Black Bean Nachos. Holy c**p – those things are mega-hot! I find that half of one is just right for curries but any more has me in tears! I can’t imagine how hot your sauce must be! In saying that though, this does look and sound utterly delicious, so I’m tempted to make a small amount, just to try it out. By the way, when your email came through, I totally read it as using *penguin* chillies! I wish I had found this site before I dumped a whole package of these peppers into a curry without knowing how hot they were. Holy hell it’s the hottest thing I’ve ever made. Looks like I’ll have to try this salsa next, at least I could measure it out before adding to a dish. 🙂 Thanks! My brother & I were just talking about this salsa last night! Our parents made the best, but I never learned how to make it. Now I have your recipe; the closest to what I remember. Thanks for posting. My sib will be in hog heaven! I am about to make this right now. I have never had this before but it sounds really good. Awesome, get ready for some HEAT! I so need to try this! My mouth is watering as I think about it. Also have to have my niece try it as she loves really hot foods. Thanks for the recipe.